U.S. Rep. Bruce Poliquin asked a federal judge to order a new election in the 2nd Congressional District if an injunction is not granted to declare ranked-choice voting unconstitutional and him the winner. The new election was requested in an amended complaint filed by Poliquin’s attorneys at about 10 p.m. Tuesday in U.S. District Court in Bangor. It was the latest legal twist in Poliquin’s efforts to reverse the results of the Nov. 6 election, which he lost to Jared Golden in the nation’s first federal race decided by ranked-choice voting. The legal complaints from Poliquin’s Washington, D.C., attorney, Lee Goodman, argue that ranked-choice voting violates the U.S. Constitution’s guarantees to due process and equal protection as well as the Voting Rights Act of 1965. The Tuesday complaint was filed a day after Poliquin asked the Maine secretary of state for a hand recount of votes in the Nov. 6 midterm election between himself and Democrat Jared Golden. “Now, after 296,077 Maine citizens have voted based on their understanding that the [ranked-choice voting] system would be used to determine the winner of the election, Poliquin would like to change the rules,” he wrote. Kilbreth urged U.S. District Judge Lance Walker to reject Poliquin’s motion for a preliminary injunction that Secretary of State Matt Dunlap declare the incumbent congressman the winner along with the congressman’s arguments that ranked-choice voting violates the U.S. Constitution. The new complaint added Gov. Paul LePage as a defendant because he is required to certify election results. The complaint alleges that he may not issue a certificate of election while the results are contested in court. The original complaint only named Dunlap, the state’s election administrator, as a defendant. The request for a new election if the injunction is denied is one of the only major differences in Poliquin’s latest complaint. Walker will hold a hearing on the motion for the injunction at 10 a.m. Wednesday, Dec. 5, in Bangor. He is poised to make a decision before the Dec. 14 deadline when election results, certified by the governor or the secretary of state, must arrive at the U.S. House of Representatives. Golden won the election in Maine’s 2nd District with 50.62 percent of the vote to Republican Poliquin’s 49.38 percent following the tabulation of ranked-choice ballots at the Maine secretary of state’s office in Augusta since neither Golden nor Poliquin claimed a majority of 2nd District voters’ first choices in the four-way race. The race also featured independents Tiffany Bond and Will Hoar. Walker has granted intervenor status to Golden and Bond. Bond’s attorney, James G. Monteleone of Portland, said Wednesday in his brief that Walker should dismiss Poliquin’s lawsuit as untimely because it was filed after Election Day. 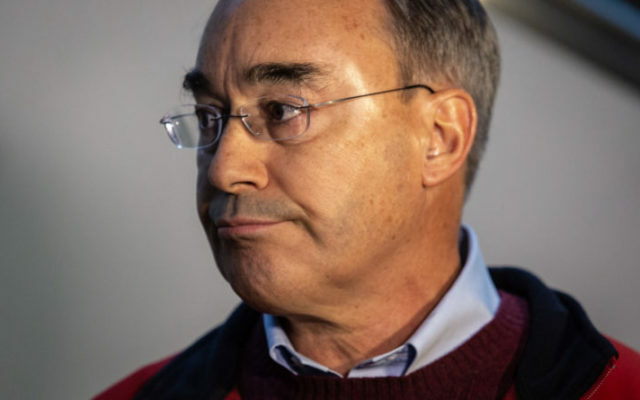 The Campaign Legal Center of Washington, D.C., late Wednesday afternoon filed a friend of the court brief in the case opposing Poliquin’s claims. The state’s ranked-choice voting system is constitutional, according to the brief. “Maine’s decision to adopt ranked choice voting falls squarely within its power under the Elections Clause and is entirely consistent with the Constitution’s requirement that members of the House be elected ‘by the people, according to the brief. Walker denied Poliquin’s initial motion for a temporary restraining order to stop the tabulation of ballots Nov. 15, about two hours before Dunlap announced the final count in the 2nd District contest. Walker allowed Poliquin’s underlying lawsuit challenging ranked-choice voting to go forward in his 16-page ruling denying the congressman’s motion to stop the ballot count. It touched on some of Poliquin’s constitutional objections to the voting method, in which voters rank their choices for office and their rankings are used to conduct instant runoffs, but did not directly address whether the voting method violates the U.S. Constitution. No court has specifically addressed those arguments, but last year, the Maine Supreme Judicial Court said the method ran afoul of the Maine Constitution as it pertained to statewide general elections, though it cleared the way for ranked-choice voting in the June primaries and did not address the method’s use in federal elections. Legal experts have said that Poliquin faces an uphill battle because Walker denied the original request to stop the voting process and because Maine voters have twice supported ranked-choice voting at the ballot box.